Having a good crew can make all the difference on your one design boat. But how do you find that crew? Try using these tips to build your winning team. 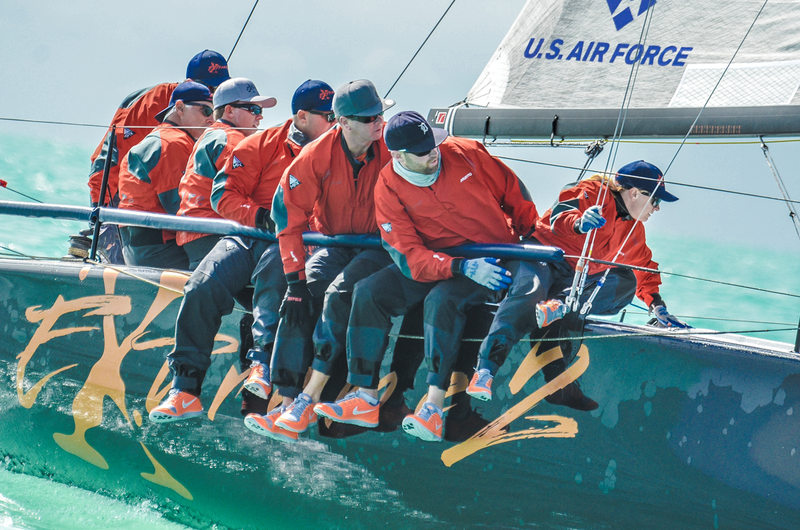 C&C 30 Team Extreme 2 - 2016 Quantum Key West Race Week. Photo by Sara Proctor. Unless your sailboat is a one-man dinghy, chances are you’re going to need a few good hands to help you get around the course fast. Across the country and around the world, there are forums online to find crews. But just like online dating, the crew lists can sometimes be hit or miss. Here are a few out of the box ways to find a few good crew for those upcoming one design circuits and regattas. Boat owners are the most all-purpose sailors and usually need the least training, even if they’re not a seasoned one design sailor. You can meet them down on the dock or in the yacht club at the end of the day. Depending on your location, evening beer can races at your local yacht club are a great way to meet and sail with new crew in a low-pressure situation. Beer can racers are usually the die-hard sailing junkies that just can’t get enough, or newbies looking for boats to crew on. Look for the guy or gal wandering around on the dock with a PFD or ask around and plant the seed that you’re looking for crew, somebody always knows someone looking for a team. Also, don’t forget yacht club bar tenders are a wealth of knowledge and know a lot about what’s going on and who’s looking for a ride. If you happen to live in a more seasonal climate, chances are you’re not able to get out on the water for evening beer can races during the winter. However, your local yacht club or sailing centers may offer frostbite series throughout the winter on the weekends in anything from lasers to J/24s. If you’re looking to find crew who are not fair weather sailors – these are your people! Find a local fleet that suits you and get out there and start recruiting these die-hard sailors. That skinny 16-year-old may not know which way to put a line around a winch, but years of sailing small, responsive boats make them quick studies of sail trim, weight movement, timing, and tactics. And—they’re stronger than they look! A portion of your yacht club dues often goes to support the junior sailing team, so get your money’s worth and put some of these upcoming rock stars on your team! Plan to travel down south for those winter and spring one design circuits? Try emailing a local college sailing coach to recruit some young talent. You’ll keep the travel costs down for your team and gain some local knowledge from someone who spends multiple days every week sailing at the regatta venue. Start a team page for your boat on Facebook—you’ll build crew morale while also attracting interested sailors. You might be able to drum up an extra set of hands with a last-minute post before a regatta. Let your crew know how much you appreciate them. Schedule team dinners and/or workouts in the off-season to keep in touch even when you’re not sailing every week. If your crew is having fun they will be your best recruiting resource to help you build your team and chances are they know more than a few good sailors that will increase your sailing network. You don’t necessarily need to find the sailors with the longest resumes; it’s more important to find people that you enjoy spending time with, and who enjoy your company too. Now get out there and go sailing!